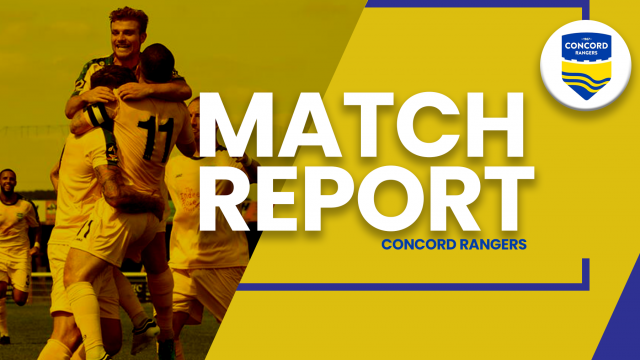 Concord crush hapless City, seamlessly easing to victory over their Cornish counterparts. Alex Wall put an end to his dry spell in front of goal putting his side ahead, finishing a fine move with a neat header into the bottom corner. The hosting Beachboys were very much in control and squandered a number of early second half chances to double the lead. They also had to keep their wits about them with Truro posing an unlikely threat, Sam Beasant saving a sole low effort. The second goal however wasn’t far away. A looping ball from a deflected cross was spilt by keeper Jo Jo Wollacot at the feet of Aron Pollock, who prodded the ball home through a pair of legs. The game was put to bed a few minutes later. Assistant manager Jack Midson turned too sharp for Ben Gerring who clumsily dragged down the attacker leaving referee Wayne Cartmel pointing to the spot. Midson himself took responsibility and tucked away neatly to move his side up into seventh in the table and leave Truro in the drop zone.